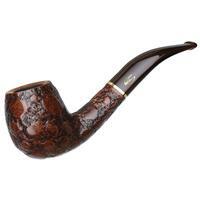 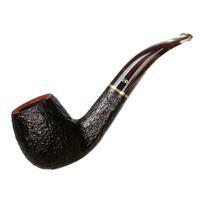 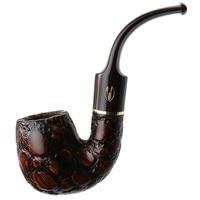 A substantial pipe with plenty of chamber depth, that will still hang from the jaw with ease; that's the Savinelli "614" in short. Suffice to say, it makes for a good combination, especially if you're looking for a pipe to take on a stroll or to keep you company while tending to chores. 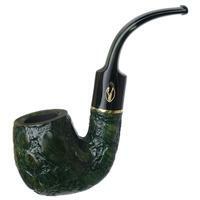 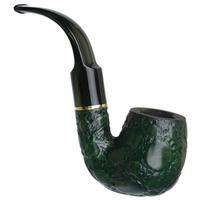 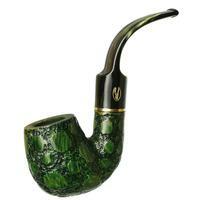 It's presented here in the rugged style of the Alligator line, dressed in a fitting emerald green stain and patterned acrylic stem.